I was just going to write “we had a chat one day, and decided to do this”, which is pretty much true – but nowhere near the full story. 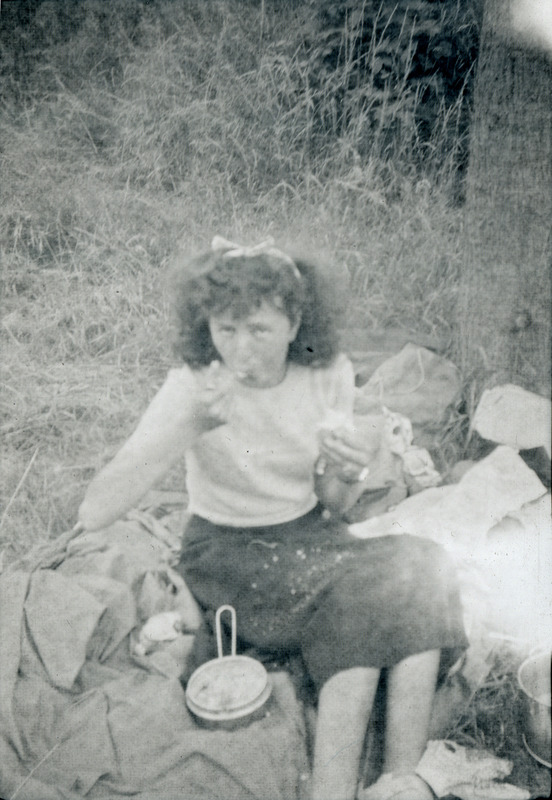 It probably starts with Lisette’s mother, Doreen – who today would be labelled as a ‘francophile’. 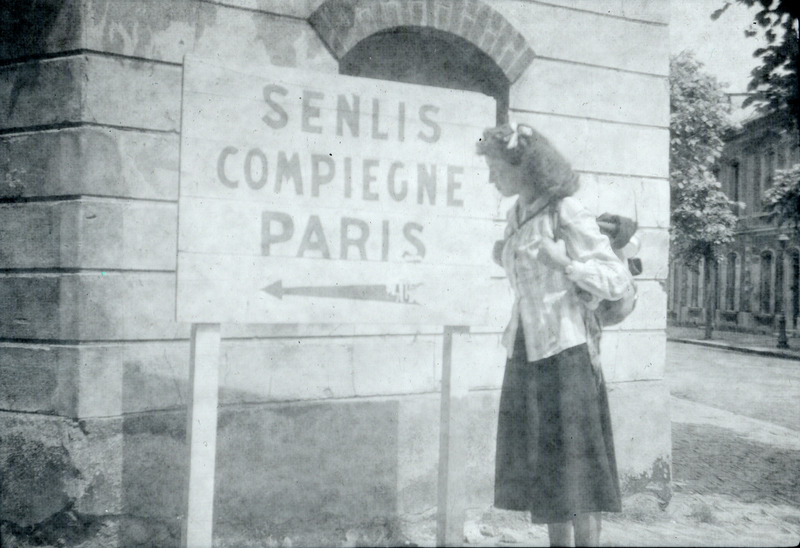 She loved all things French, but never was able to set foot in the country. But, she imbued her first daughter with the same passion, beginning at her birth. 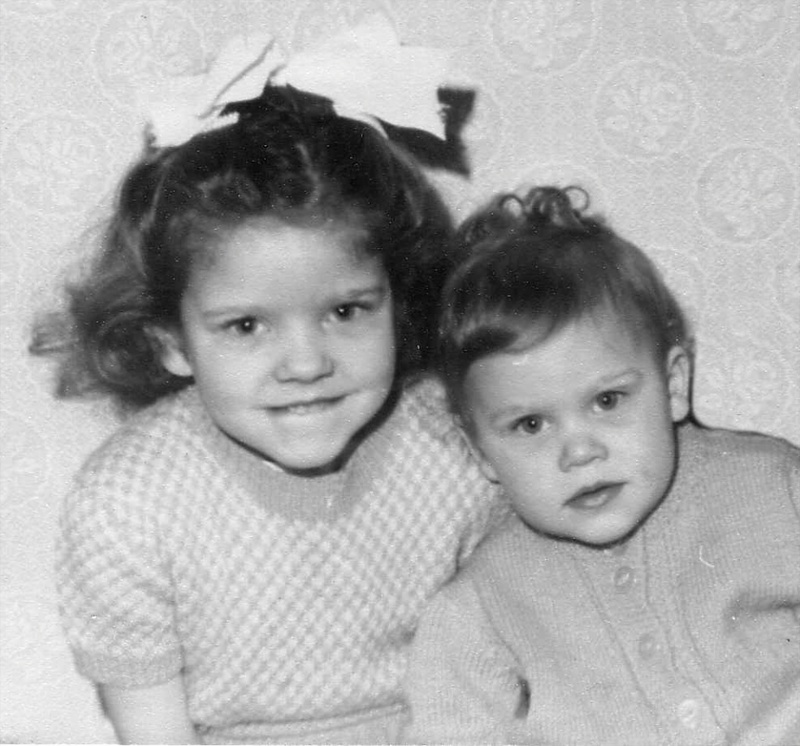 Initially called Mary Elizabeth after the two grandmothers, there was some discussion about how best to manage this. Doreen solved the problem by introducing a third name – Lisette – a classic French name. However, Lisette’s father, Fred, had already been to the registry office and duly registered their daughter as ‘Mary Elizabeth’ – only. So Lisette has always been ‘Lisette’, and a few legal shenanigans have had to take place to get this name on official records, ultimately in 1983 so she could use her name when she became a naturalised Australian. Just to emphasise Doreen’s naming enthusiasm, her second daughter was named Nadine, another lovely French name. Lisette grew up smitten by all things French, eventually studying five years of the language in High School and one year at University level. Her one great dream was to marry a Frenchman and live in France. On Ian’s side, there were also predisposing factors. Ian’s parents, John and Milly were keen hikers – taking long adventurous walks and camping throughout the English and Scottish countryside. One of their last and most adventurous journeys (before starting their family) was from England to Paris, in 1952. After buying a trangia stove in Dover, they ferried across to Calais and walked, and hitchhiked to Paris, sleeping in their tent, barns and houses on the way. 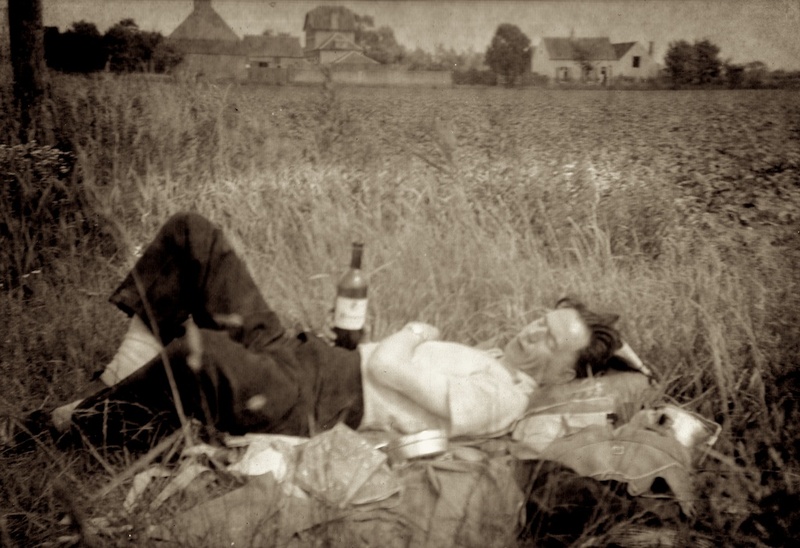 Walking through areas of France still recovering from the war; travelling with a wild priest in his clapped out car; and being invited to six-hour family meals – a wonderful experience and very adventurous for the time. The free-living style of camping was something that they continued once they came to Australia, and Ian grew up used to pitching tents, and cooking on gas stoves in the bush. So for Ian there was also a French connection, but more relevant was the desire to see the countryside by moving. Both families moved far from France in the ’60’s, emigrating from England to Perth in Western Australia. Lisette’s dream began to fade once she met the non-French Ian in Perth. But, he was aware of the sacrifice that she was making. 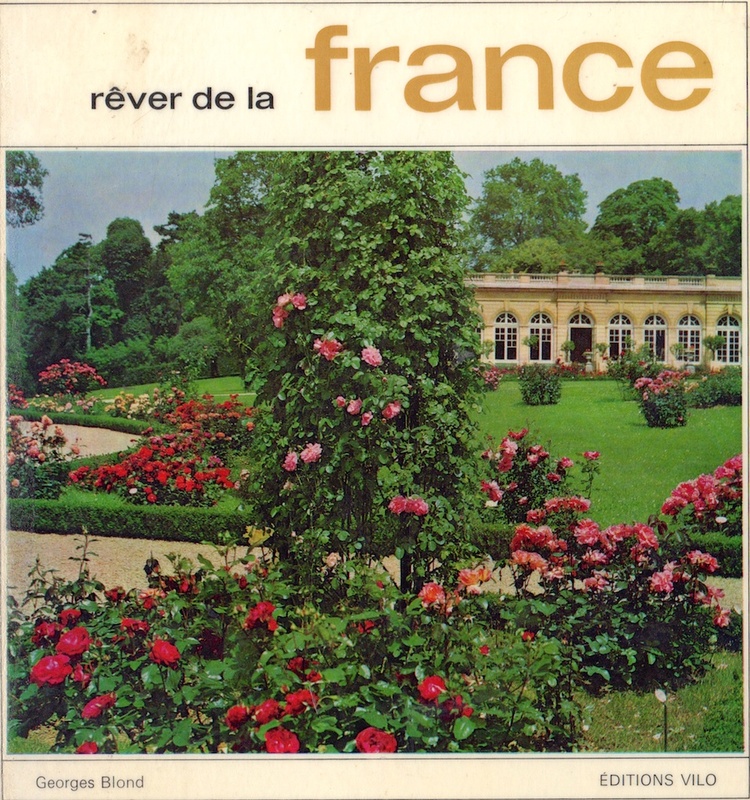 Right at the start of their courtship, early in 1972, one of the first (if not the first) gifts he gave her was a book of photographs of the cities, towns, villages, countryside and coastline of France – all written in French. Prophetically, there was one picture that included a barge. 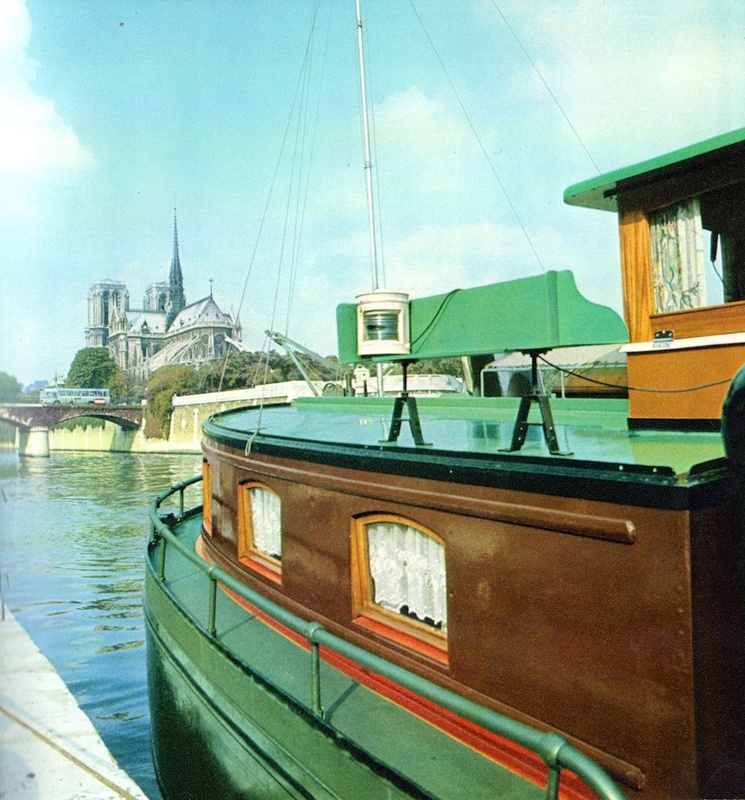 It was of Notre Dame, from a mooring on the Seine in central Paris. These elements fermented during the years of raising a family in Perth, Chicago and Melbourne. Suppressed, but not forgotten was a now shared interest in things French, and roving vacations. 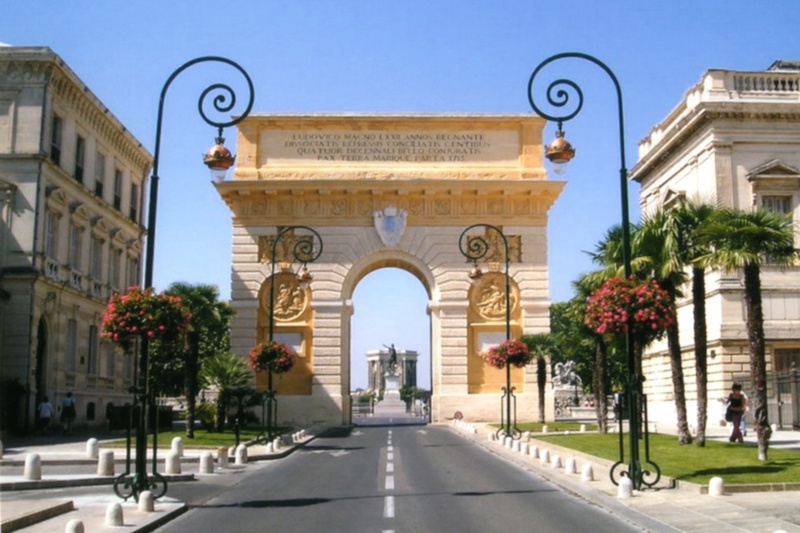 Lisette had the first opportunity to visit France when, in 2004, on a study trip to Europe, she had the chance to stay over for just one day in Montpellier – finally one of us experienced the sight, sound, smell and taste of the real France! 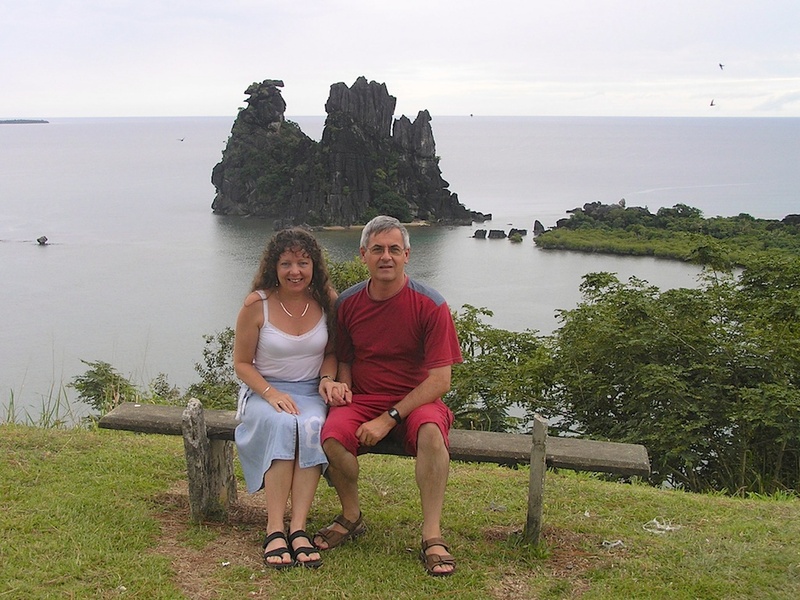 The first opportunity for us to get a substantial exposure to French culture was in 2005, on our 30th wedding anniversary, which we spent in New Caledonia – the closest bit of France to Australia. 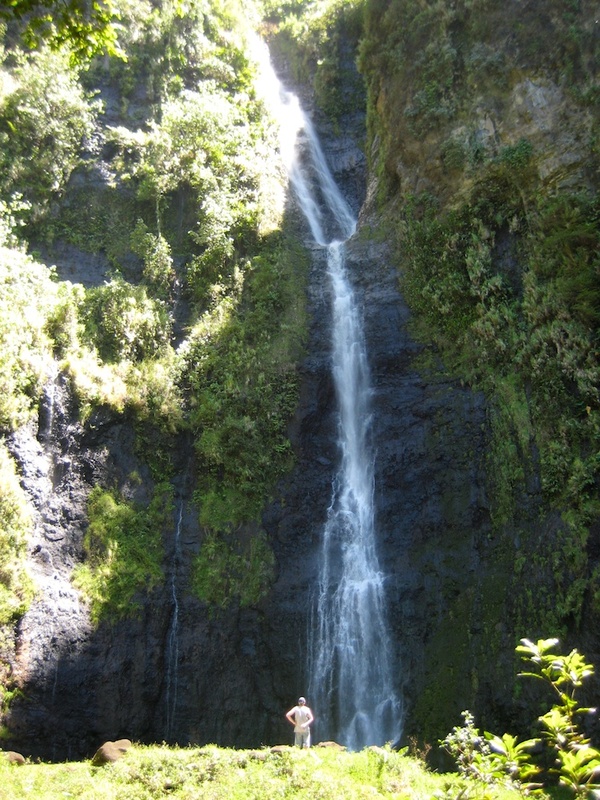 A while later, in 2008, we spent a week in Tahiti on the way to and from a holiday in the US. Since then we have also been back to New Caledonia once more. 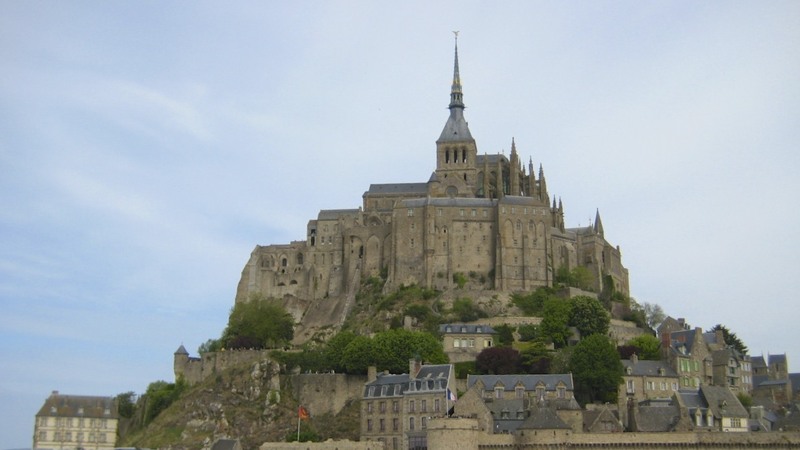 These islands are wonderful in their own right, but we still yearned for the real France. 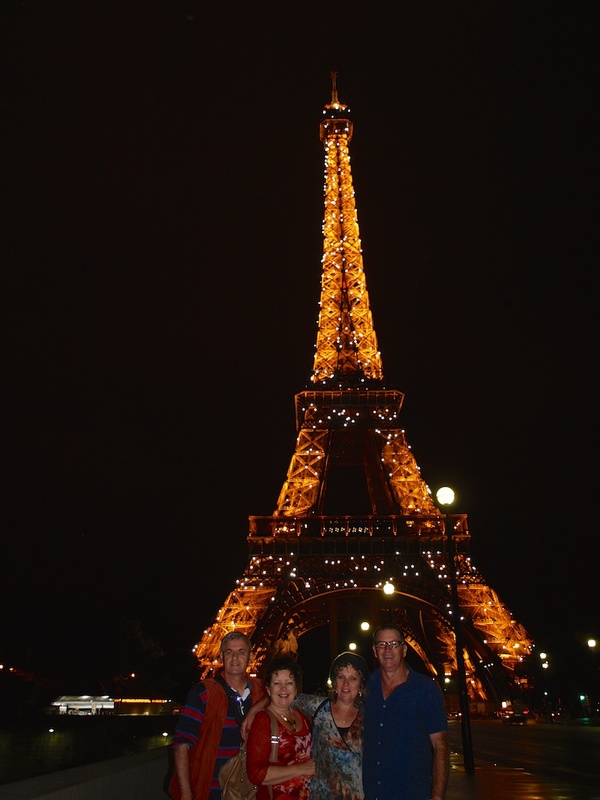 The real breakthrough was our 35th anniversary trip to Europe in 2010. Along with two US friends, and for part of the time, Lisette’s youngest sister Gillian, we toured through Europe for five weeks. During the holiday, we stayed in Paris, Mont St Michel, Bordeaux, Marseillan in France, and then Italy, Croatia and Germany. Unbeknownst to us, it was during this trip that the first direct influence on the barge dream occurred. 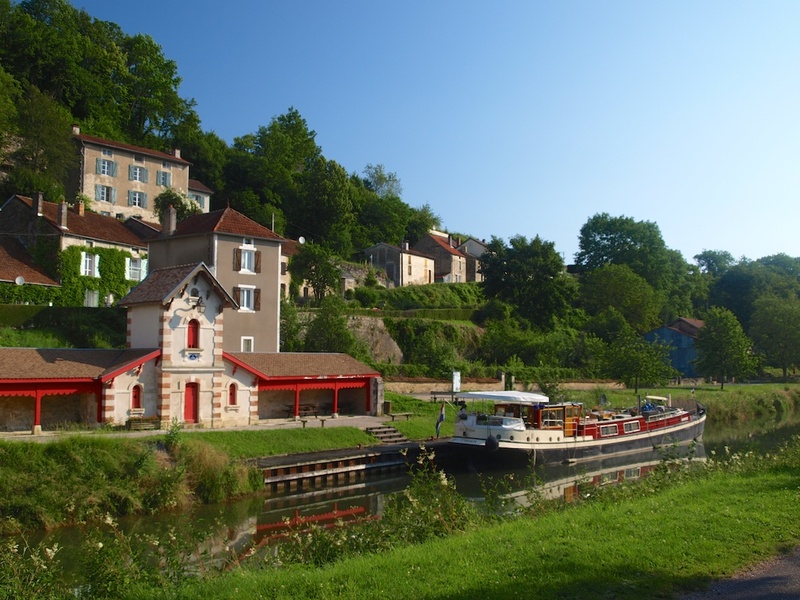 We had discussed, briefly the idea of a relaxing barge cruise as part of this big trip, but it was discounted due to cost, and the feeling that we really wanted to see lots of different things, rather than a week of slow travel through a few small villages – nice as that sounded! On the car journey from Bordeaux to Marseillan, we pulled over into an aire (layover) for a break, at Port Lauragais. This particular stop was characterised by a multitude of buses ferrying pilgrims to Lourdes. 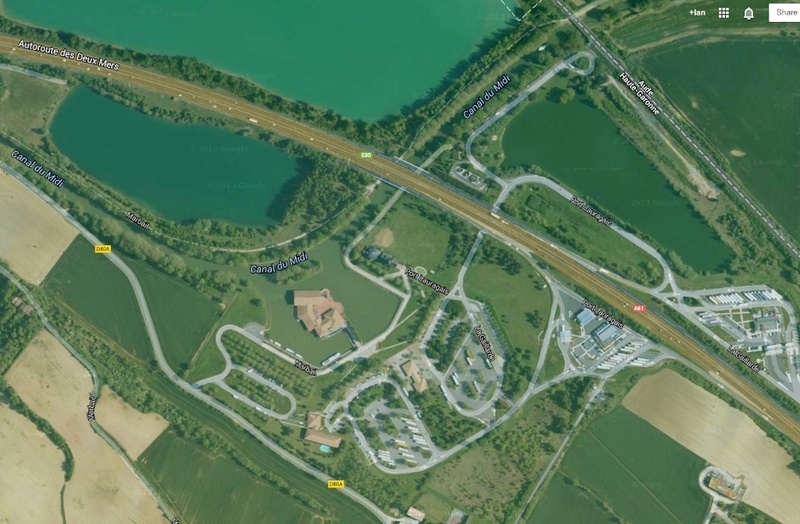 However, the Canal du Midi ran right through the car park, and we could now see that it is even possible to cruise the Midi and moor here (something for later!). At the time, this meant nothing to us, but I distinctly remember a display, inside the cafe, that described and mapped the journey from the North Sea, to the Black Sea, through Europe, entirely by barge – using canals and rivers. It was said to take about four months. My offhand comment to Lisette was along the lines of “that would be a totally cool trip!” At a conscious level, this was then forgotten. 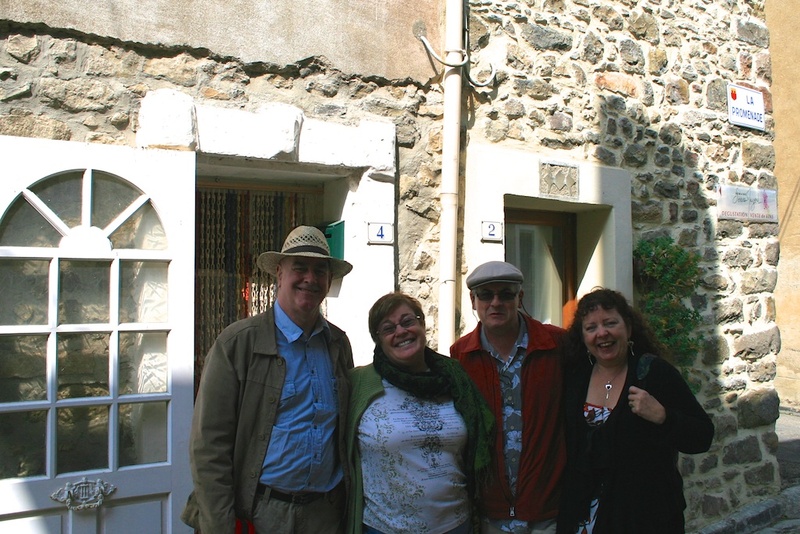 One of the other visits we made on this trip, was a brief stop at the house that friends of ours, Kaye and Peter Coates, had bought and renovated in Tailaran, just south of Carcassonne. We envied their lifestyle of summers in France, deep involvement with a small village, but such a lifestyle was beyond our means and dreams. Those two items and the underlying aspiration to be French, fermented and lay in wait in Ian’s subconscious for the right moment. They just combined and materialised one day in February 2012. Why – I don’t know! If we wanted to spend time in France but did not want to buy a house and spend most of our time in one place, what if one could travel on a barge for a few months each year? How much does a barge actually cost? 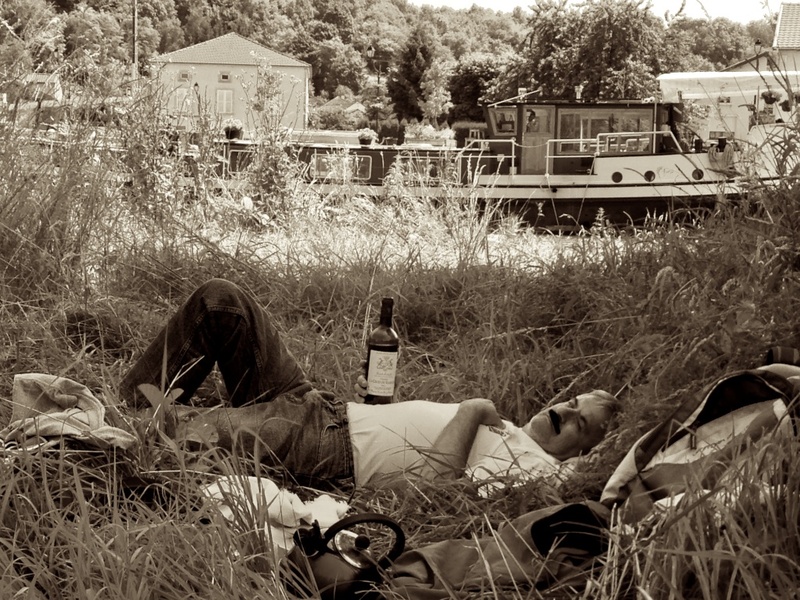 Then we would be embedded in the French lifestyle, but also travelling – sort of camping – but on a quiet waterway. A short bit of intense Googling revealed that this was more than possible – in fact it was an established lifestyle of many English, American, Australian and other non-French. Moreover, it was not unbelievably expensive, at least in terms of money that might be available at retirement. Ian immediately discussed this with Lisette, and she was very enthusiastic about the idea, although having the reservations that should accompany such a novel enterprise. We resolved to investigate further and see if it was not only an attractive idea but a plausible enterprise. After conducting some financial investigations, we felt that from what we could see about the cost of barges, we might be able to retire with sufficient funds to support the purchase of a barge, and a decade of cruising, if we waited about five years. But could we cope with the lifestyle? While there was evidence that many ordinary people, Australians included, had taken up barging from a standing start – could we? A test cruise seemed to be the best avenue to determine if this was possible for us. After a false start, and after joining ‘DBA – The Dutch Barge Association‘, we located and contacted the owners of ’t Majeur. She was a converted old Dutch barge that the owners, Michel de Lange and Rebecca Mater ran, for part of the time, as a sort of “Cruising B & B”. We contacted them and eventually arranged for the two of us to join the two of them on week’s cruise, in France, on their barge, in July 2013. It was the best move we could have made in this whole process. 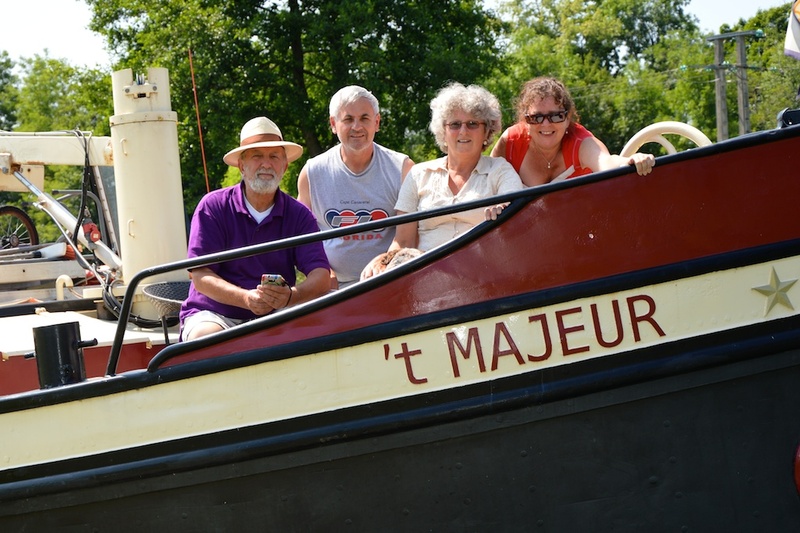 We extended this one-week trial cruise into a four week holiday over June and July 2013, in France, the first three weeks of which we again spent with Lisette’s sister Gillian, along with her new partner and excellent travelling companion, Graham. We stayed in Paris, Saint-Clementin in the Loire Valley, Talairan and finally Flayosc in Provence. We travelled around as much as possible by foot, car and even took our first flight by montgolfiere. It provided a fantastic holiday for the four of us over three weeks. Then we went off to board ’t Majeur. Space prevents any description that would do justice to this week, but it was probably the most enjoyable and rewarding week we had spent together in our lives. We immediately loved the lifestyle – relaxing, but gently demanding so as not to be boring. Michel, Rebecca and their dog Panache were gracious hosts and, by the end of the week, treated us as friends. We left them having gained heaps of information and the certainty that this was something we had to do. Sadly, the one other factor in this adventure was, that on the last full day we spent on ’t Majeur, we took an early morning phone call and heard that Ian’s father had died suddenly and unexpectedly. 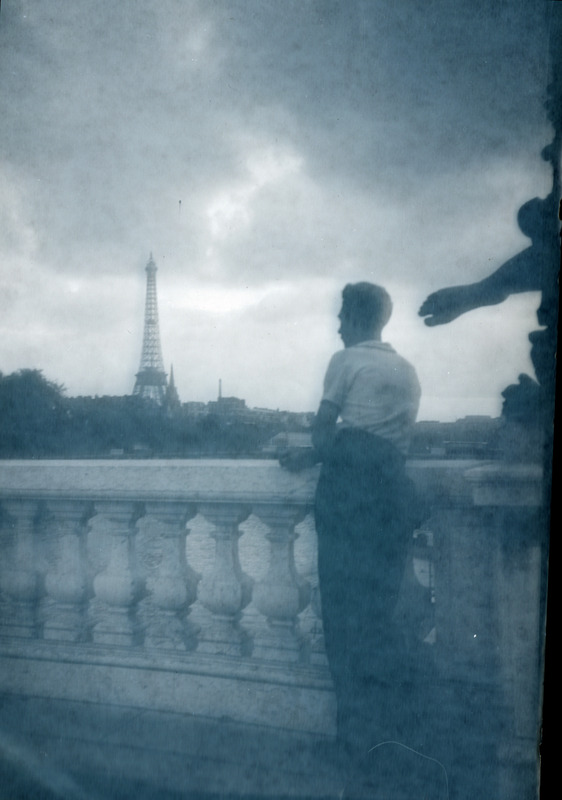 By conincidence, that day we had planned to recreated a photo that Milly had taken of John on their trip to France, over 60 years previously. What this did mean, eventually, was that the money from his estate became available, unplanned, but provided the bulk of the financing for our barge dream, years before it might otherwise have been possible. We’d much rather have waited the few more years. What a lovely story, most of which I did not know. Your mother is correcting some bits, so you had better check back again! And perhaps include us as a side trip on any visit you make to Blighty. Thanks Jeni and Ade. Fabulous story. So glad I clicked on the link. We wish you every success with this adventure. May you be filled with happy memories over the coming years. Luv the (we tend to prefer a faster boat) Simons family. Seeing, and often, sharing, the fun you all have on and near the water is a big inducement for us to emulate your watery lifestyle – as you say, at a much slower pace. All we hope is that, sometime, you feel the need, and have the opportunity to wind back the throttle by 90% and spend some time with us. A lovely story and as ever, the tribute to Grandad at the end is something we will all remember very fondly. Oh my what a wonderful story and told as only you can Ian. Wishing you and Lisette many amazing adventures and looking forward to reading them. Just read your story and enjoyed it so much. What an adventure! Hope you enjoy every minute, as I’m sure you will. All the best. PS – your blog is a beauty. Well done!! Hi Rob, thanks, and keep the photos coming from your touring as well. We’ll have to get together when we get back to swap stories. Love the history of your French connections. Good luck with the trip to the Netherlands! We hope you find what you want and have an enjoyable time cruising the canals in one summer season and the sea around New Zealand in the other one.